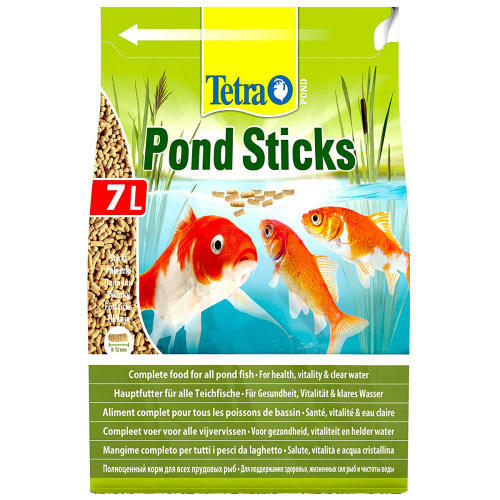 Tetra Pond Floating Food Sticks are a complete food suitable for all pond fish that's specially formulated to have a low waste impact on your pond, helping your water stay clean and clear. As a complete diet Tetra Pond Sticks contain all the nutrients, vitamins and trace elements most fish need for a balanced, healthy diet. Softens quickly for easy eating.